Effect created by Raphael Czaja. 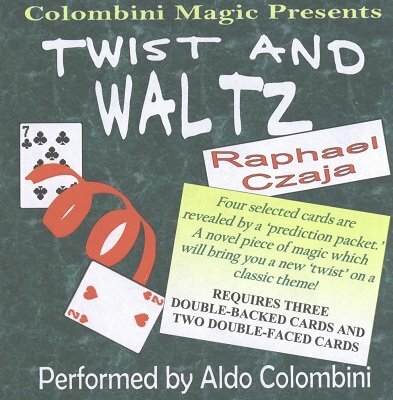 A novel piece of magic which will bring you a new 'twist' on a classic theme! Four cards are selected and placed on the table. You show four face-down cards and one at a time one card turns over and it reveals one of the selected cards. At the end, each chosen card is revealed. Then you reveal that the four cards have backs on both sides! Requires three double-backed cards and two double-faced cards.